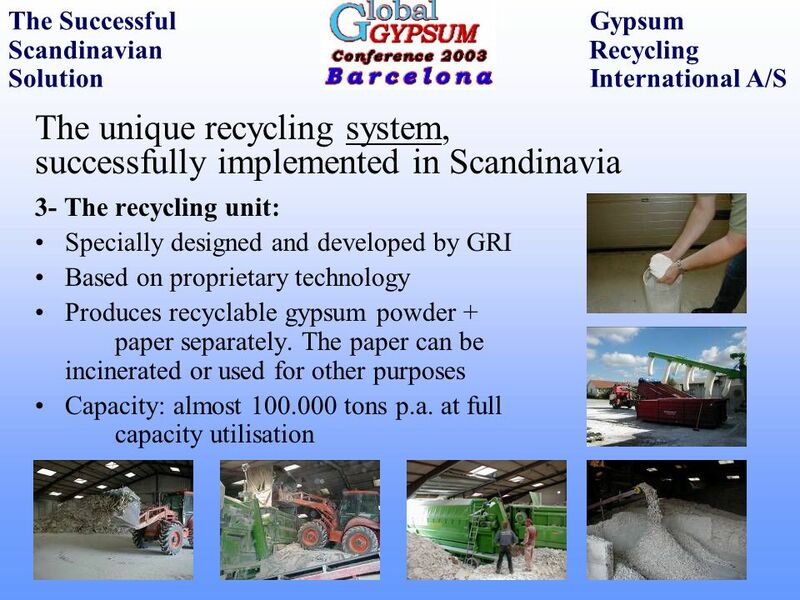 Instead Gypsum waste should be recycled No more landfilling! 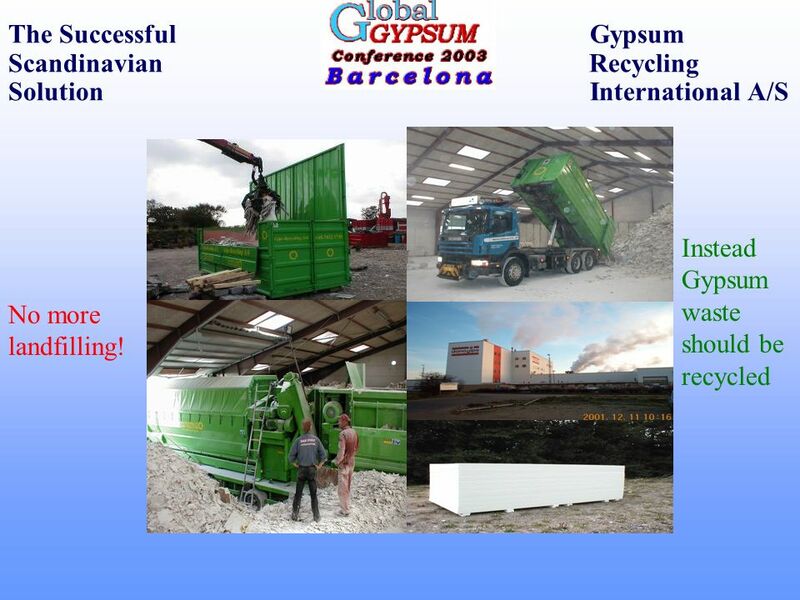 4 Why Gypsum in Europe Should be Recycled ? 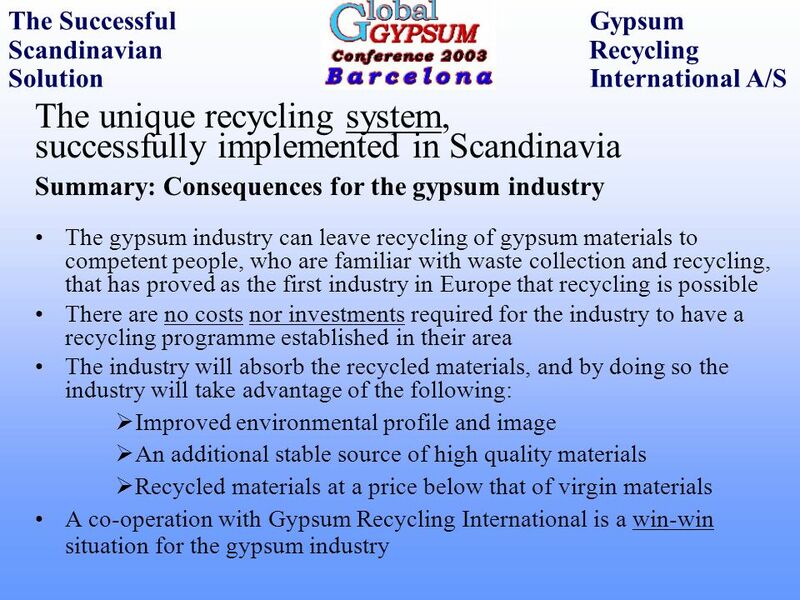 The Successful Gypsum Scandinavian Recycling Solution International A/S Why Gypsum in Europe Should be Recycled ? Because App. 3 mill. 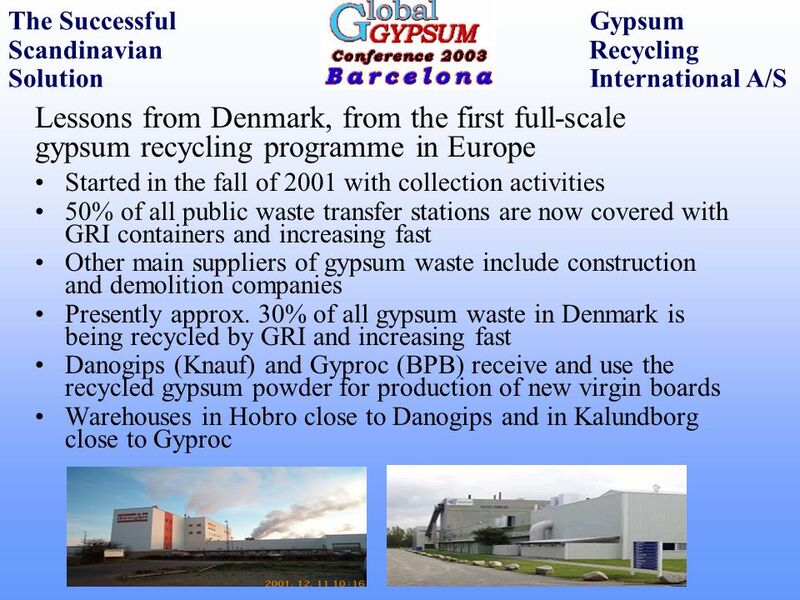 tons Gypsum waste are otherwise landfilled in Europe annually. 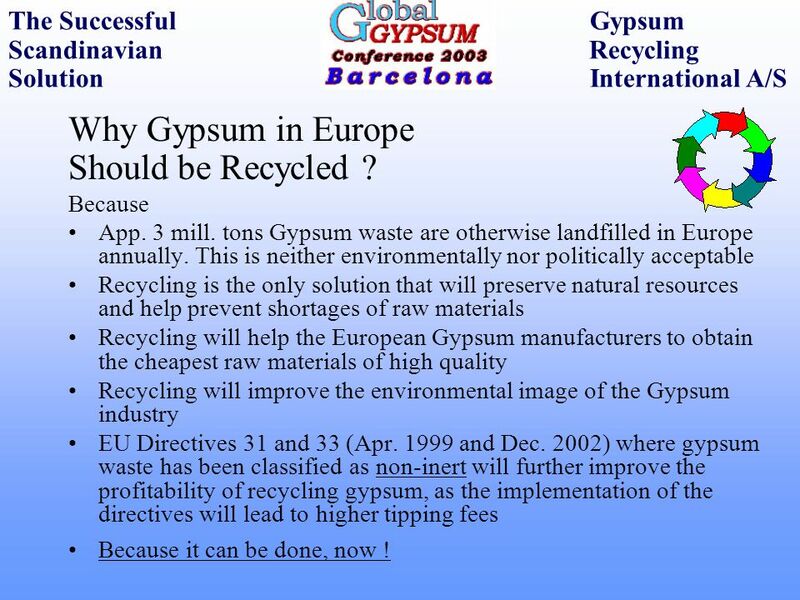 This is neither environmentally nor politically acceptable Recycling is the only solution that will preserve natural resources and help prevent shortages of raw materials Recycling will help the European Gypsum manufacturers to obtain the cheapest raw materials of high quality Recycling will improve the environmental image of the Gypsum industry EU Directives 31 and 33 (Apr and Dec. 2002) where gypsum waste has been classified as non-inert will further improve the profitability of recycling gypsum, as the implementation of the directives will lead to higher tipping fees Because it can be done, now ! 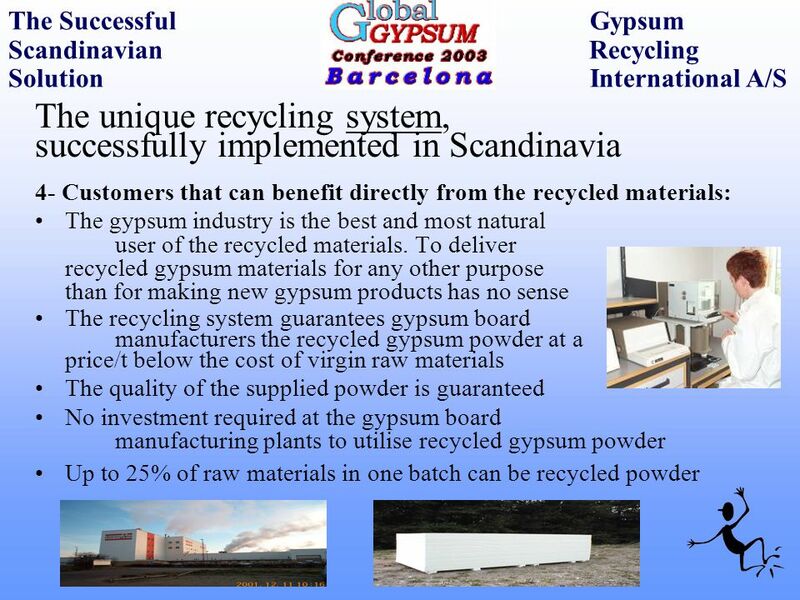 The Successful Gypsum Scandinavian Recycling Solution International A/S The unique recycling system, successfully implemented in Scandinavia Summary: How does the system from GRI differ from what other suppliers can offer? 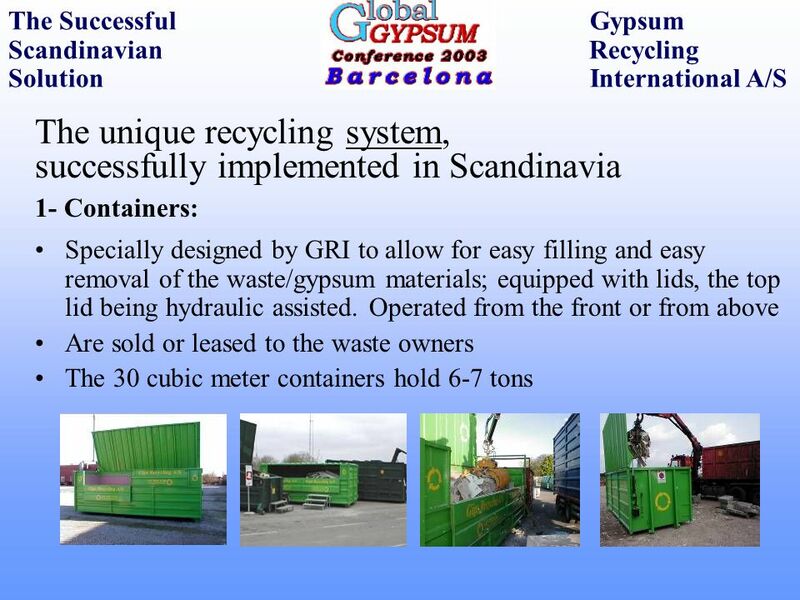 It is a complete system with all the necessary elements; containers, logistic system, mobile recycling unit and users that can benefit from the recycled materials The recycling unit is very mobile and compact and especially takes up limited space in the height. 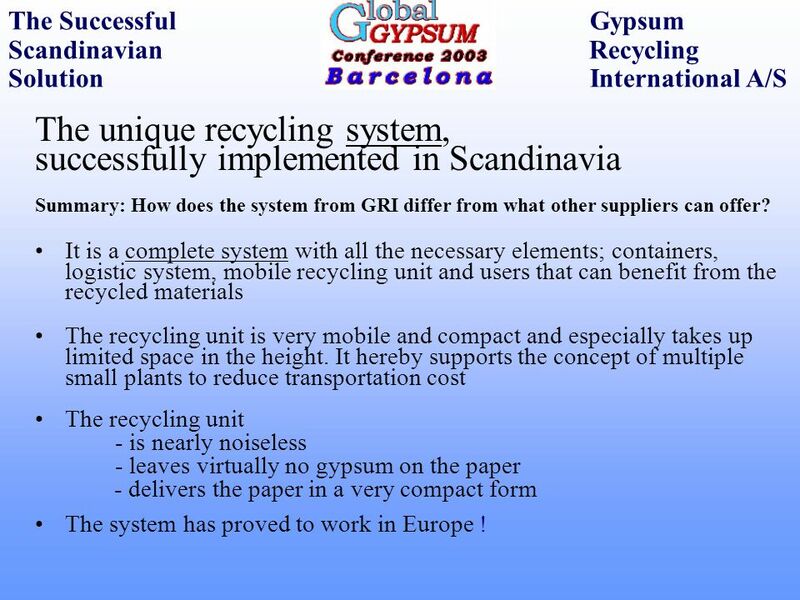 It hereby supports the concept of multiple small plants to reduce transportation cost The recycling unit - is nearly noiseless - leaves virtually no gypsum on the paper - delivers the paper in a very compact form The system has proved to work in Europe ! 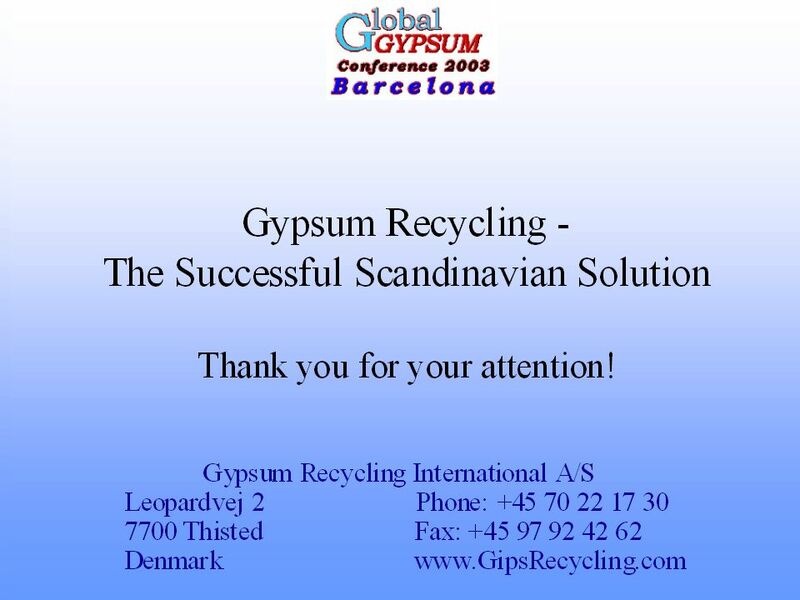 Download ppt "The Successful Gypsum Scandinavian Recycling Solution International A/S"
Recycling of plasterboard waste – from nice to have to necessity ! 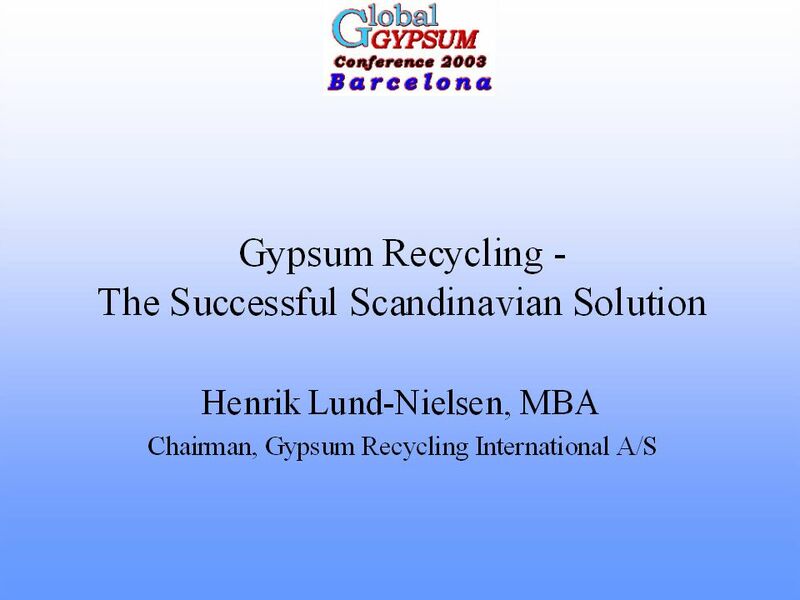 Henrik Lund-Nielsen, MBA, CEO Gypsum Recycling International A/S. 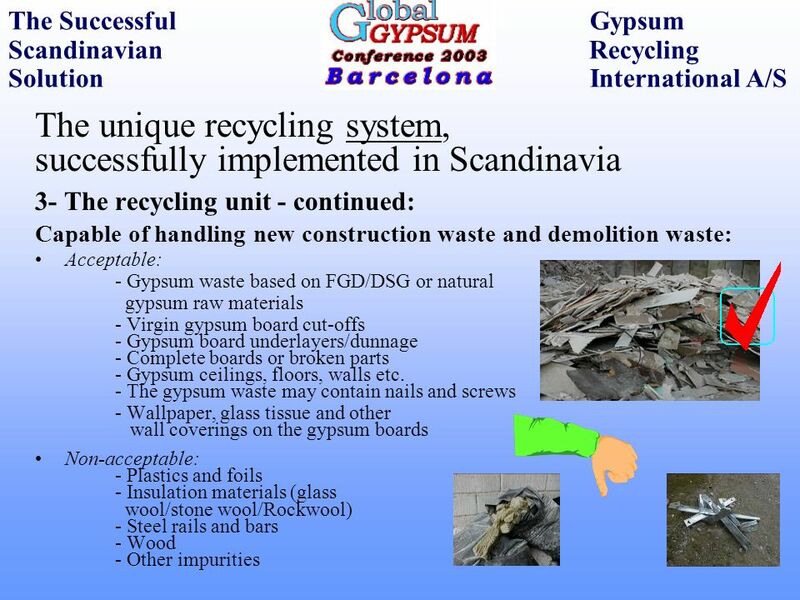 Content of Presentation Background 6 main differences between the traditional concept and GRIs successful concept for plasterboard recycling Video Summary. Moisture Measurement 1 Challenges in determination the Moisturecontent of woody biomass. 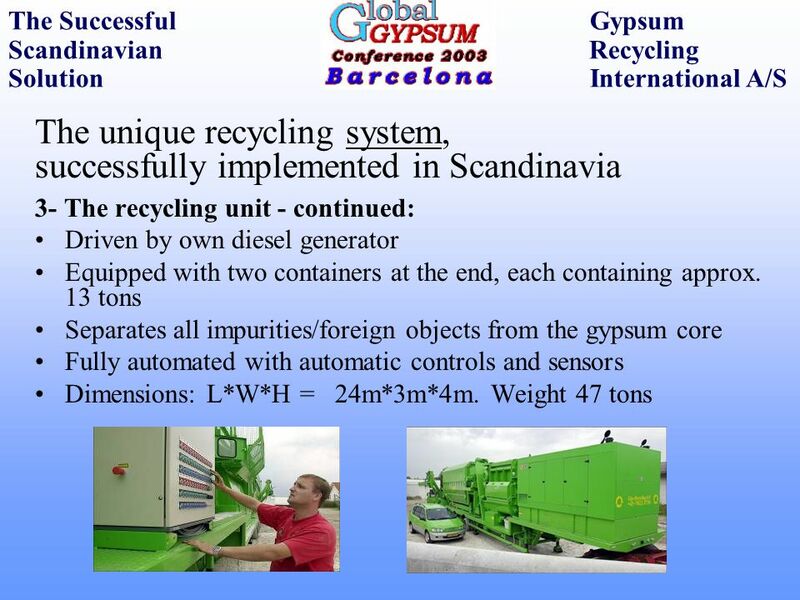 Cara - Waste Management That Doesn't Cost The Earth WASTE MANAGEMENT - INDUSTRY BEST PRACTICE Dr. Peter Coulahan Cara Group Safety Manager A PRESENTATION. 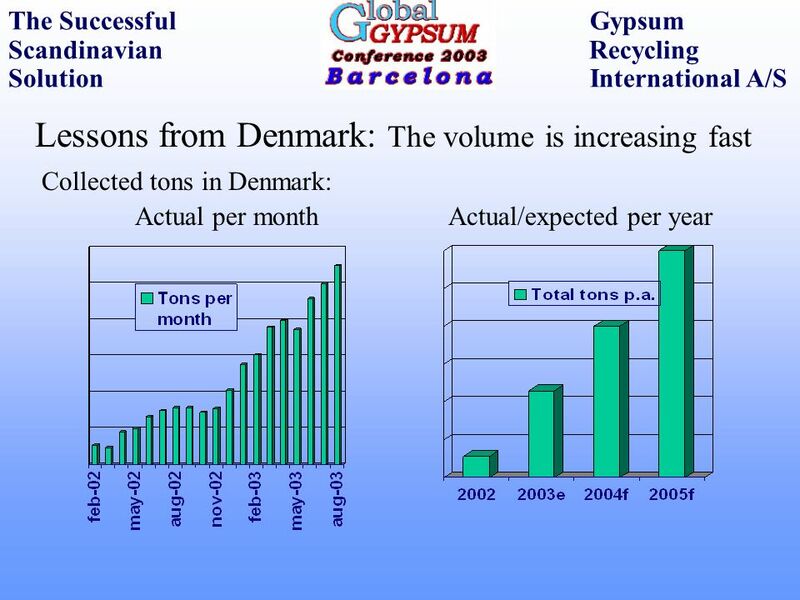 2013 workshop on Waste Policy Implementation May 2013 Copenhagen. January 2001ASTRON BUILDINGS S.A.1 STEEL. 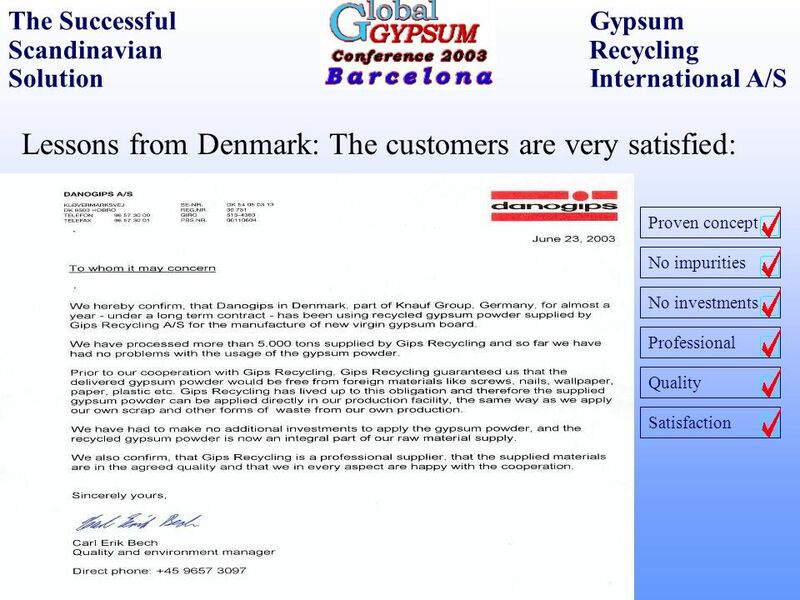 January 2001ASTRON BUILDINGS S.A.2 STEEL as a construction material. Constant Crushing Programme. 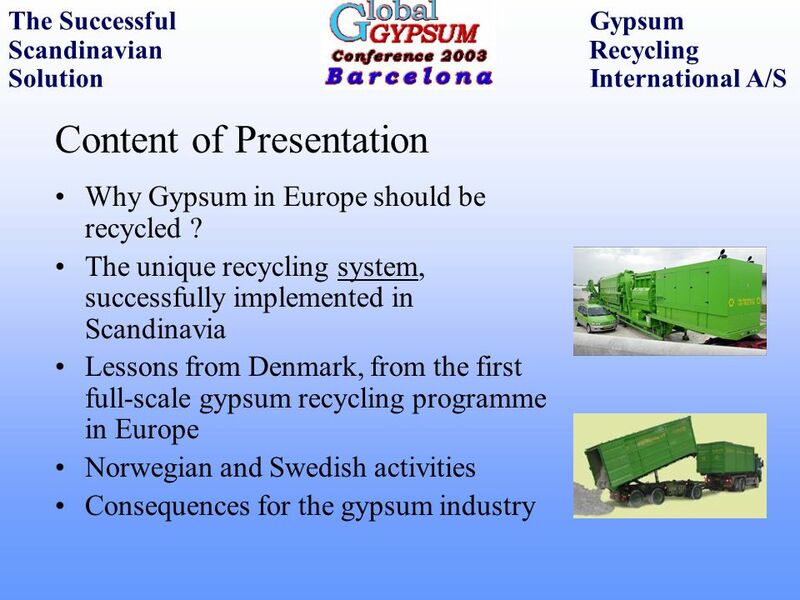 The Programme The Benefits The Options The Figures. 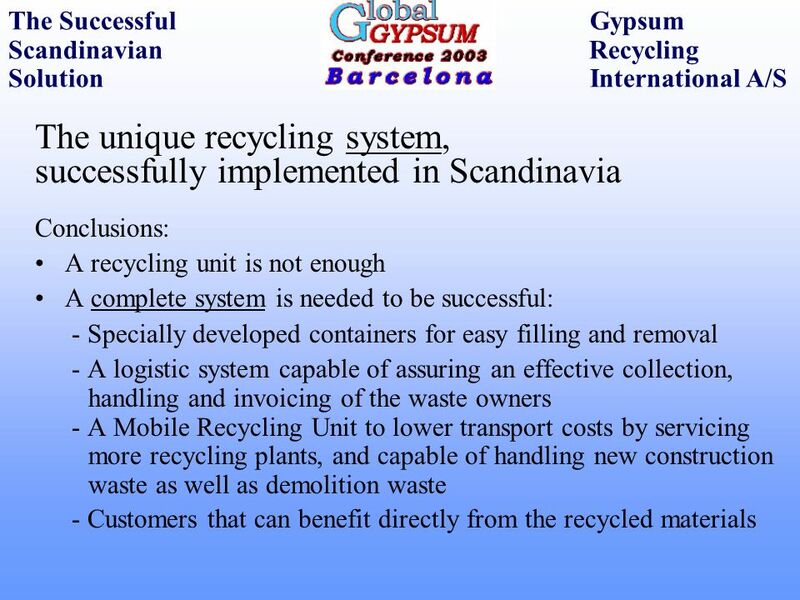 Martin Grohman, LEED®AP Director of Sustainability, GAF Slide 1 Recycling Roofing. 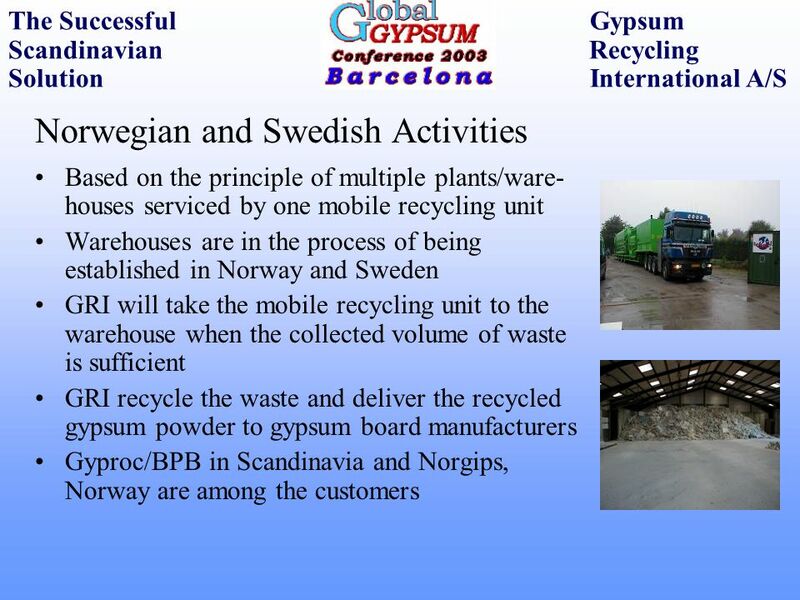 PRESENTED BY: FELIX A. NEGRON AMERICAN PRECIOUS METAL RECYCLING LLC As of 23 February Mining Projects in 7 Countries. 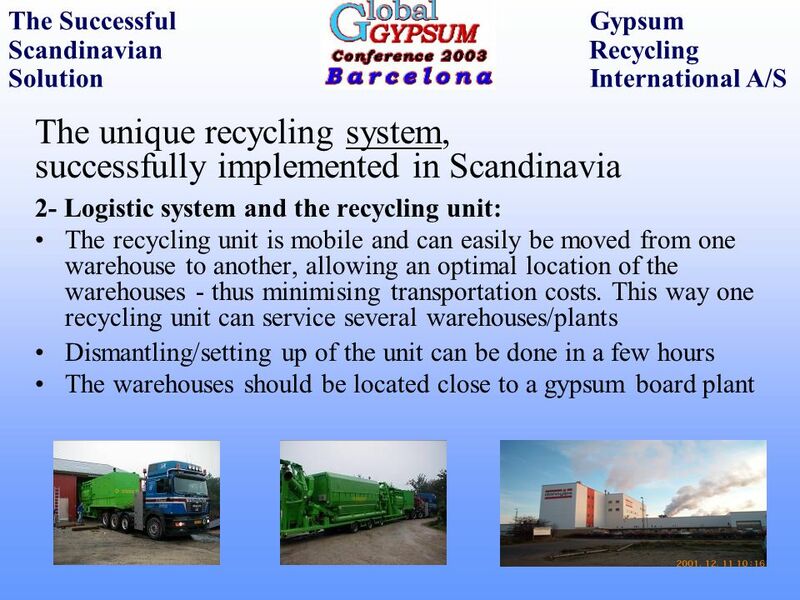 1 Warehousing Last update: 1/2013. 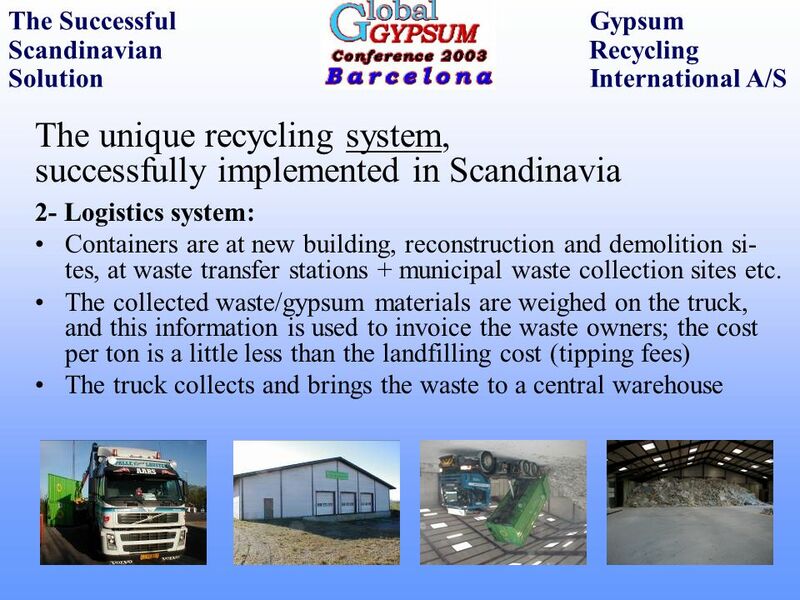 Landstars Suite of Services Multi-Modal Capabilities Warehousing Services Project Cargo Dedicated Operations Supply.